Actor Ajith is currently busy with the work of Nerkonda Paarvai, the official remake of Pink. The film is being directed by H Vinoth of Sathuranga Vettai and Theeran Adhigaram Ondru fame. It is being produced by Boney Kapoor under the banner Bayview Projects LLP. Recently, a picture of Venkat Prabhu and Ajith Kumar from the sets of Nerkonda Paarvai came out on the internet and this went viral. It also sparked off rumours suggesting possibilites of Mankatha 2 with Ajith playing the lead role. 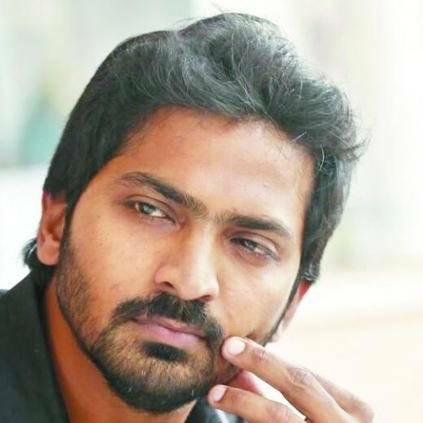 Actor Vaibhav was one of the star performers in the film that came out way back in 2011. When asked if he'll act in the stunt sequences of Mankatha 2 alongside Ajith, he said: "I think that is logically not possible, because my character dies in the first half." "We can only act if it is a different story. However, we'll try to do something to fit in. While working with Ajith on the stunts, there was a scene where Ajith rode the bike at 220+ kmph. I am not a bike person, so that was the first time I saw and felt how it feels to travel at 220 kmph. Now if you ask me to do it, I'll suggest Ajith to do it, while I stand on a greenmat and complete those portions. What he did that day scares me even now. ", quipped Vaibhav. People looking for online information on Ajith Kumar, Mankatha, Mankatha 2, Rk nagar, Vaibhav will find this news story useful.